Whether you’re a 10-person technology start-up or a 1,000-employee manufacturing firm, we understand your benefit plan needs are unique. We know the carriers, their strengths and their weaknesses, so you can be confident RCP & Associates is matching your company with the best carrier to fit your needs. Let us to have one of our Employee Benefit Consultants contact you to discuss your options. For established companies with international employees already in place, RCP & Associates offers a consultative approach that includes benchmarking of existing programs along with recommendations and implementation support for any required changes. For companies that are emerging and faced with the task of setting up an international employee benefits program for the first time, Filice provides advice to help you navigate the complexities of any local laws and customs you are not familiar with. Let us to have one of our International Employee Benefit Consultants contact you to discuss your options. 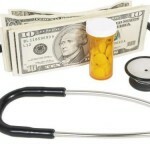 As you contemplate retirement and the conversion from your group or individual health insurance to Medicare, another consideration is how to fill the gap between Medicare and the actual cost of a prescription, doctor visit or hospitalization. With the continuing increases in group health care costs, many working seniors are also discovering that enrolling in Medicare alongside a Supplemental Plan is less expensive than staying on their employer’s plan. Click below to use our online quoting engine or contact usat 1-888-887-4325 to have our Senior Plans Expert call you. Whether your business is large or small, you need to protect it. A complete Liability and Risk Insurance package generally includes items such as an Auto or Transportation Package, Commercial Liability and Umbrella Coverage, Employment Practices Liability, and an Errors and Omissions Policy. Let us have one of our Commercial Liability Professionals conduct a thorough review of your business portfolio to identify any potential risks and develop a plan to minimize or eliminate the your exposure. Although California law generally requires all employers to purchase Workers’ Compensation insurance, the way in which an insurance company responds before and after an accident depends on its level of dedicated resources. We excel in protecting and aiding our clients in times of crisis with knowledgeable support and aggressive claims management. Let us to have one of our Workers’ Compensation Professionals review your current coverage and educate you on the various loss control services available to your organization. Are you approaching age 65? As you contemplate retirement and the conversion from your group or individual health insurance to Medicare, another consideration is how to fill the gap between Medicare and the actual cost of a prescription, doctor visit or hospitalization. Also with the continuing increases in group health care costs, many working seniors are also discovering that enrolling in Medicare alongside a Supplemental Plan is less expensive than staying on their employer’s plan. Our Medicare and Senior Plan experts are available to help you navigate through this maize of choices. Contact us at: 1-888-887-4325 and ask to speak with our Medicare Specialist. Or fill out the online request form and we will contact you.